Chronic Illness or Traumatic Illness? 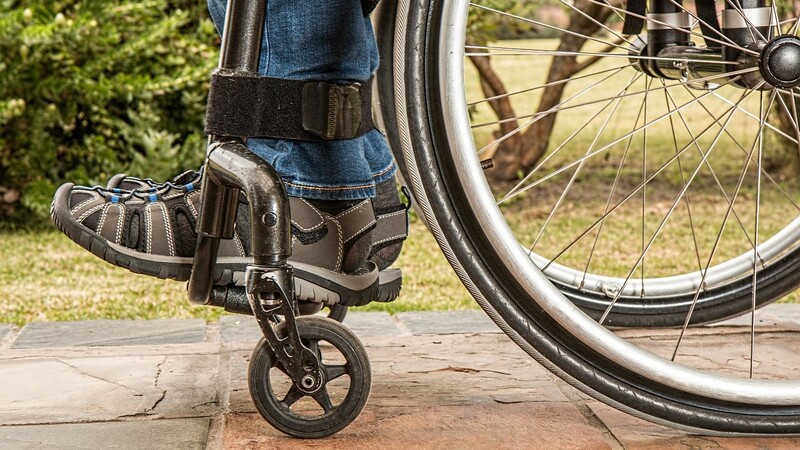 A Chronic Illness is one that persists for three months or more, or for a lifetime. It cannot be prevented by a vaccine or cured by medication, nor will it just disappear. A person with a chronic illness needs to constantly manage this condition (sources: MedicineNet.com and The Free Dictionary). A Traumatic Illness is any type of illness that impacts the person’s life in a way that changes how they live. An illness can be both chronic and traumatic, but there are important distinctions. 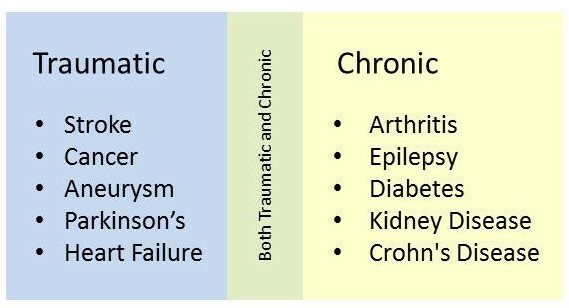 Some types of chronic conditions are manageable to the extent that their effect is not traumatic. By contrast, a traumatic illness can sometimes be cured or healed. In some cases, a person with a chronic illness may alternate between periods of trauma, and periods in which their disease is under control. Understanding the differences, and identifying the effects of an illness, can help in establishing coping methods and organizing systems.